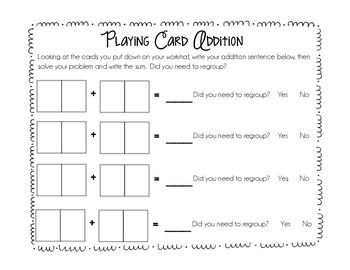 Motivate your kids with this fun addition game using a deck of playing cards! 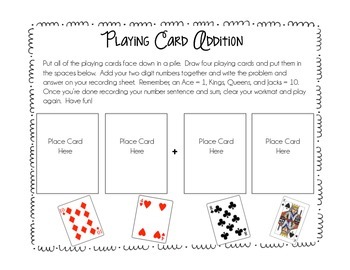 Kids draw cards to create two two-digit numbers and then add the two numbers together. The kids then write their number sentence on their worksheet and circle whether or not they regrouped. Laminate the workmats for durability. Note, you will need a deck of playing cards to play.